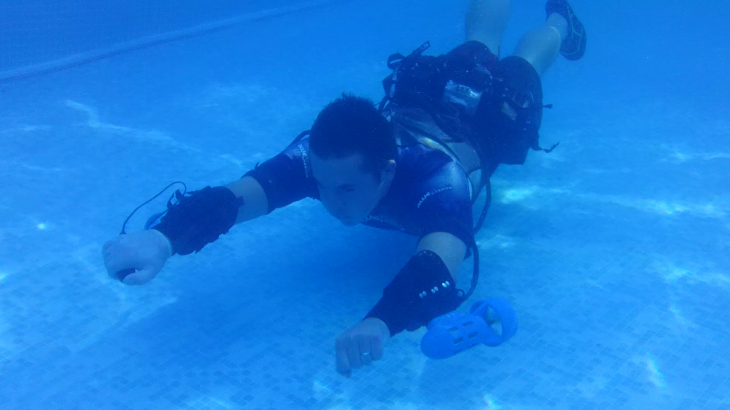 UK-based startup SCP Marine Innovation has announced that it plans to start selling its ‘x2 Underwater Jet Pack‘ in 2014 if its equity crowdfunding campaign is successful. 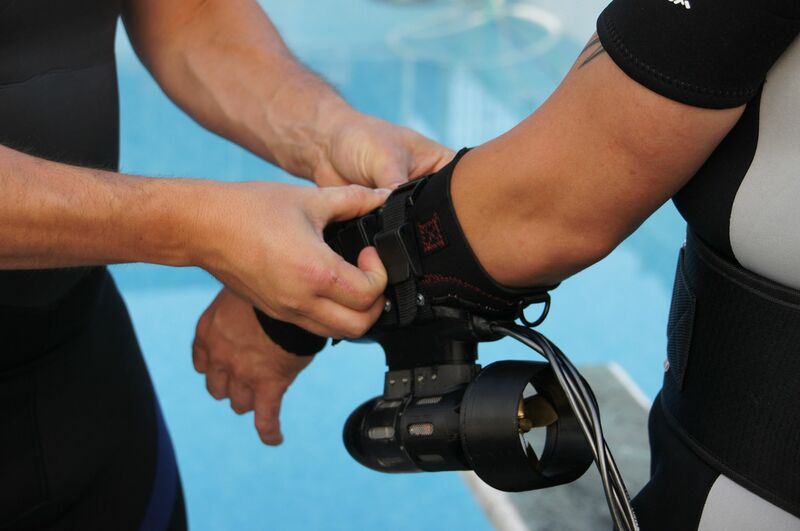 The current prototype system uses thrusters attached to your arm to amplify natural movements in a bid to allow scuba divers to “fly around underwater”, the company said. Powering the device is a lithium battery-based technology alongside numerous digital motors and a wireless control system. The project is now seeking the remaining funding (it has raised more than a third of its goal already) using the equity crowdfunding website ShareIn.com. Backers can pledge anything above £100 in exchange for a slice of equity in a bid to help the company get to its £72,000 goal. If it manages to make it, the intention is to launch the X2 next year for around £3,500 ($5,700). 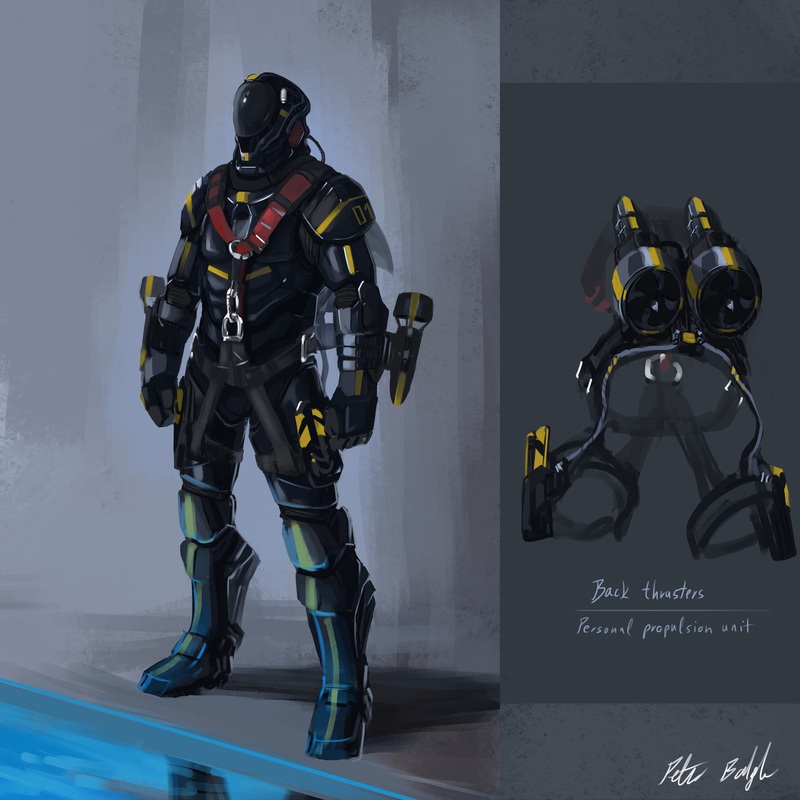 While that might seem a pretty cool invention to get behind, it’s the concept image (above) that integrates the propulsion system into a full suit that really got us excited. How practical that suit looks for swimming around in is another matter altogether, but we’d be willing to try.